I have a little freebie for you today to help bring spring to your classrooms. 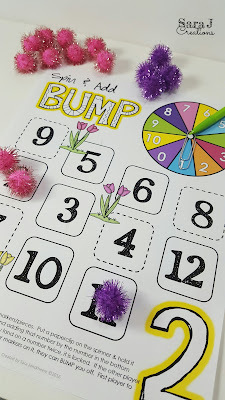 Spin and add bump is a fun way to practice math fact fluency. Students will be able to practice their addition facts by number. Perfect for math centers! You can click the picture above or click HERE to grab your free sample games. Happy Spring!